Short beaked echidna is the echidna found in Australia. There are long beaked ones and others in New Guinea, but the Australian species has a short beak. It is a funny looking animal that resembles the hedgehog of the Northern Hemisphere and the spiny anteater of South America, but is not related to any of them. It is a monotreme - an egg laying mammal, one of the two (along with playtpus) found in Australia. In fact, the Australian species - Tachyglossus aculeatus - is by far the smallest compared to its three cousins - western long beaked, eastern long beaked, and Sir David's long beaked echidnas in New Guinea. There are five subspecies of the short beaked echdna in Australia, all found in different regions: T. a. setosus in Tasmania, T. a. multiaculeatus on Kangaroo Island, T. a. acanthion in Northern Territory and Western Australia, T. a. aculeatus in South Australia, Victoria, New South Wales and Queensland; and T. a. lawesii in New Guinea and north eastern Queensland. 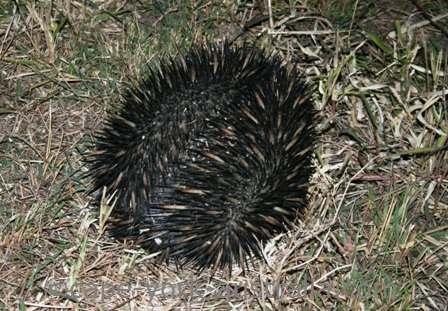 At the first glance it's a hedgehog looking animal, but it's larger (The Tasmanian subspecies is the smallest). It is about 30 to 50 cm long, and can weigh up to seven kilos. It has creamy coloured, sharp spines (for self protection), but like all mammals it also has fur. It has small eyes and a long snout, even the short beaked species does have a snout that is longer than a hedgehog's. It also has a quick and long tongue, which it uses when foraging. It has short limbs with five digits, and strong claws (that enable it to dig quickly and break into termite mounds). 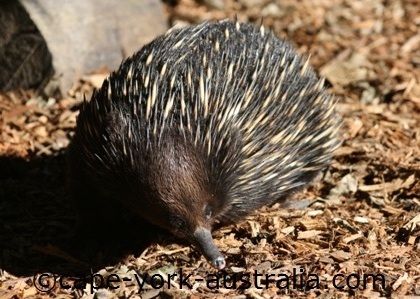 Long beaked echidna is found in New Guinea, and short beaked echidna is found in Australia. 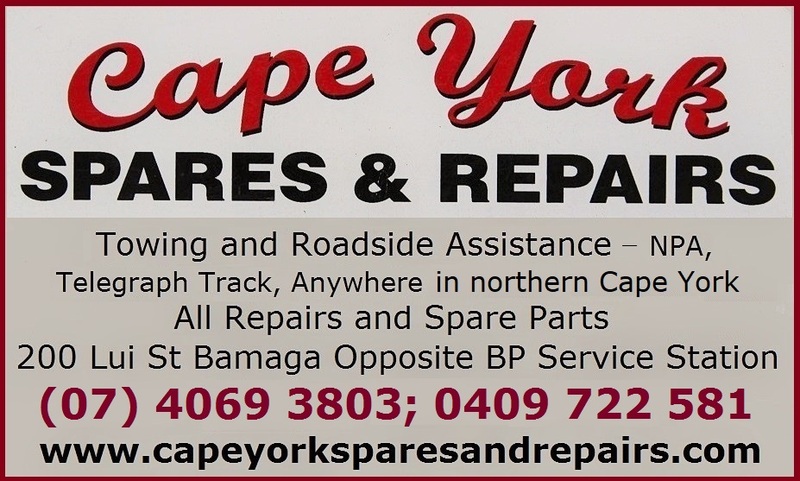 In Australia, it is found all over the continent, as well as the island of Tasmania. 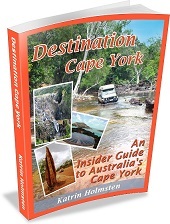 It has the widest distribution of all Australian native animals. It lives in almost all habitats, including forests, bushland, woodland, grassland, and heath, from the extremes of dry deserts to wet rainforests and cold, snowy Alpine areas. It also comes to farmland, urban outskirts and backyards. 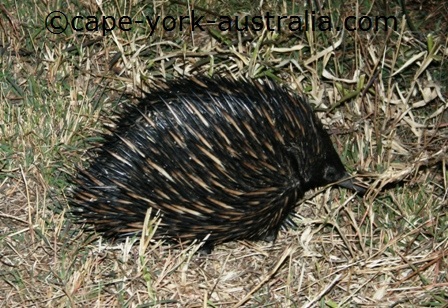 Echidna is a solitary animal (except during the breeding season, of course). When threatened, it first curls into a ball, just like hedgehogs, and if the threatening continues it then burrows itself into the ground. They have low body temperature (just like their cousin the platypus), also they don't sweat or pant, so they are better in cooler than warmer climates. Like most mammals, they are most active in early mornings and late afternoons, however in colder climate they may be most active in the middle of the day. 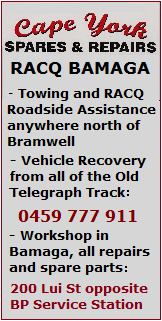 In the coldest climates of Alipne country and Tasmania, they hibernate. They often shelter in hollow logs and places with good camouflage, however they do not have a fixed territory (they cover larger areas), shelter or nest site (other than a burrow for the young but it's not the same one every year). Echidnas eat ants and termites (also some other insects, their larvae, and other soil dwelling invertebrates such as earthworms). For that reason, they have a sensitive nose (to find them), a long and sticky tongue (to catch them), and sharp, strong claws (to break into their nests). They have no teeth. The breeding season is the mid-to-late Dry season up here in northern Australia (roughly July to August). The male and the female do not stay together after mating. After a gestation period of about 23 days, the female lays one single egg a year. The egg is incubated in the female's pouch for about 10 days, after which, a tiny (only size of a grape), blind and hairless young - also called puggle - is born. The puggle is carried in the pouch for about two months. Once its spines develop, it becomes too prickly and the mother builds a burrow for it, but the puggle continues sucking milk for another four months. They leave the burrow at about 6-7 months of age, and usually live for about 10 years (up to 16, and a captive one lived 49 years). 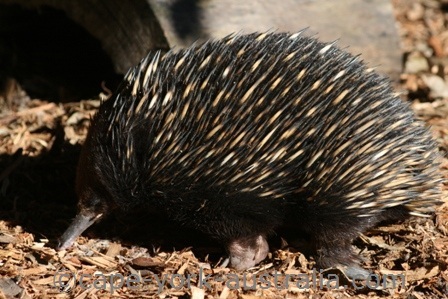 The short beaked echidna does not have so many natural enemies, but the young (puggles) may be taken by cats, dingoes, foxes, snakes and goannas, but more than anything they are killed by cars. The species is not threatened to extinction, but habitat destruction, parasites and introduced animals have directly or indirectly reduced its distribution.